DeviantArt is the largest online social community for artists and art enthusiasts, allowing people to connect through the creation and sharing of art. 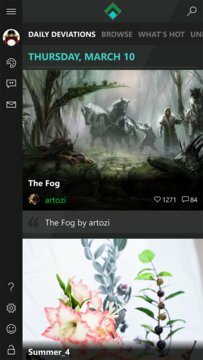 The Artage Mobile App allows you to browse endless streams of content. With Artage you can browse through more than 60 million of the greatest pieces of art. - Login into your account. - Check your watch feed, comments, replies and notes. 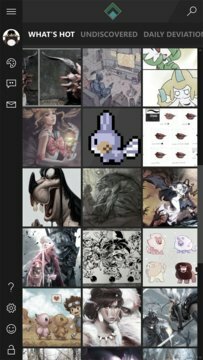 - Search deviations by name or artist. - Add users to your watch list. - Browse between newest, hottest and more popular deviations. - View the Daily deviations awards. - Watch deviations, share and save on your pictures library. - Add deviation to favorites. - Check comments, related art and the author profile. - View the user profile, his pieces of art, favorites, journals and watchers.